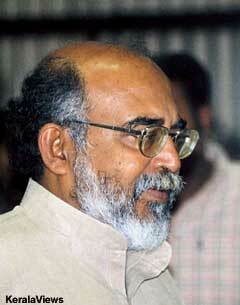 Kerala’s Finance Minister Dr. T. M. Thomas Issac is an economist who is bold enough to embrace ideas. His latest Budget (for 2010-11) is an example for that. However, the problem is that he lacks an efficient government capable of turning his Budget proposals into reality. The ideas in the Budget are not new. The campaign for environmental conservation was there for at least three decades now. The difference Dr. Issac makes is that he has shown willingness to promote the idea in a big way. The major proposal is to have a Rs. 10000 million green fund. (The onus of raising this fund largely falls on the next government. Current year’s allocation is just Rs. 1000 million). There are a slew of measures proposed including assistance to private individuals and organizations for conservation. The Finance Minister has put environmental conservation the agenda of the government in a big way. There are also multi-pronged efforts to promote energy efficiency. This is an idea that was in the air for more than a decade— saving energy could be equivalent to building additional generation capacity. The State Electricity Board and the government had been late in embracing this by a decade. (This was the case with small hydel projects also. The Board woke up to the idea almost a decade late.) Better late than never, and Dr. Issac is making the plunge. However, the LDF government is a non-functioning government. Mafias flourish and governance drifts. Dr. Issac alone could not put governance back on the rails. It should be admitted that he had been able to push certain things as far as his department is concerned and check tax evasion. (But gold merchants continue to evade tax. The compounding scheme brought by him helped to realise only Rs. 132 crores in taxes against target of Rs. 180 crores.). He has also been able to push Water Resources Minister N. K. Premachandran a bit. But that was that. His plans to revise lease rent last year did not take off. Now, he is talking of legislation. The process may lag on as has happened with many a Bills proposed by the Law Reforms Commission. Several proposals in the current year’s budget for additional resources mobilization such as desilting of dam and collection of fines for reclamation of paddy fields did not yield results during the year. The Minister is now hoping that he would be able to do that this year. One time settlement for evaded stamp duty too would continue this year. The realization last year was just two per cent of the anticipated revenue. Naturally, the proposed infrastructure projects did not materialise as fast as hoped for. This time also, there are projects galore. However, most of them are unlikely to become a reality during the administration (or lack of it) of the present government. Kerala Finance Minister Dr. T. M. Thomas Isaac has presented a feel good Budget (2009-10) to the Assembly. Whether the pleasantness would remain depends on his ability to carry out the proposals. The Minister, who has failed to carry out almost half of current year’s Budget proposals, has admitted that the “proof of the pudding is in eating”. It is indeed an election year (Lok Sabha) Budget. But the Minister has made an honest attempt to address the problems arising from world-wide recession which is arriving in Kerala. His stimulus packages would take time to implement. To some extent, they are repacks of schemes that get announced every year. The Minister has achieved a 23 per cent increase in tax revenues which is remarkable in a year marked with economic slow down. The introduction of value added tax system and the anti-corruption drive and measures to prevent tax evasion helped. However, the buoyancy in tax receipts may not be easy to keep in the coming year. So, the Minister has resorted to a sleight of hand to keep down expenditure. He has advanced retirement dates of government employees to the end of year. This means that all gratuity, commutation and other benefits, payable on retirement, could be delayed by one year. Around half of the government employees would get their service life extended by, on average, six months. Employees should be feeling happy in an election year. Not to antagonise the youth, the Minister has said that appointments to vacancies arising from retirement would be filled in advance. This does not mean much as recruitment process always gets delayed. The Minister is not surely going to entertain a surplus of employees. One of the really notable measures taken by the Minister is the decision to increase rent on Government land leased to plantations. This was a measure that was hanging fire for 28 years. Previous finance ministers including Oommen Chandy had shied away from increasing the rent. There were also allegations of corruption as plantations continued to pay only a pittance for leased land. Dr. Isaac is also making a big plunge for energy efficiency by promoting CFL lamps and reducing tax on light emitting diode (LED) lamps. This was something that the Electricity Ministers from the time of Pinarai Vijayan had failed to do so though the advantages of energy efficiency over adding capacity was well known for more than a decade. The Kerala Assembly concluded its budget session this week without much in-depth discussions on the Budget. Bigger controversies than finance took the time of the House. The coming year will show whether the zero revenue deficit and other improved financial parameters projected by Finance Minister T. M. Thomas Issac for 2010-11 is achievable. A major point to watch in 2008-09 will be whether the increase in revenue expenditure will come down from around 25 per cent this year to 8 per cent projected by the Finance Minister. The State will be coming out of the debt overhang with interest rates lower than the growth of State Domestic Product. The myths listed by the Finance Minister in his Budget speech will be fully cleared (off the minds of people) only when he concludes the coming financial year in tune with his projections. Let us wait for that. P. S. The Finance Minister said that the following assumptions were wrong to varying degrees, and hence were myths. Kerala is in a debt trap. The State Government is free to borrow from the surplus funds of co-operative and commercial banks of the State. The tax revenue of Kerala is not increasing. Day by day the State is being crushed by the increasing interest burden. The deficits in Kerala are increasing. Plan expenditure is declining in Kerala. The Plan allocations included in the Budget are not spent either due to non-availability of funds or due to their nonrelease. After two days of hartal— first called by the United Democratic Front to protest against the price rise and the second by the traders themselves to protest against retail chains, the people of Kerala would be subjected to two days of closure of one of the leading banks of the State. The employees of State Bank of Travancore (SBT), a subsidiary of State Bank of India (SBI), go on strike for two days (February 25 and 26, 2008) in protest against the proposal to merge it with SBI. Unions of other public sector banks and some small private sector banks join them across the country with common demands such as revision of wages. The SBI is trying to increase its capital base through a rights issue and amalgamation of its subsidiaries to meet global competition. Neither the employees unions of SBT nor others have come out with solid grounds for their opposition to the merger. The Kerala Government is also silent. The loss of their prominence seems to be major concern of the union leaders and higher ups in the Bank. The employees stand to benefit as their salaries are bound to go up with merger with SBI. SBT has the largest branch network in Kerala. 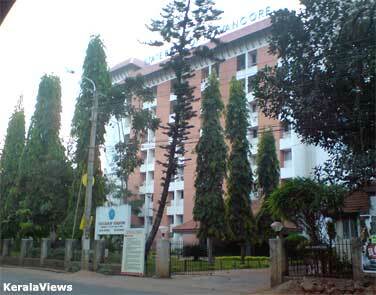 The presence of SBT with its headquarters in Trivandrum had helped higher penetration of banking into rural areas. Considerable agriculture credit also flows from the Bank. This push may not continue after merge. Some branches may even be closed down owing to redundancy. A major concern for Keralites would be flow of money out of the State. The banks in Kerala, flush with deposits from the Gulf countries, had been maintaining a low credit deposit ratio. Several of the banks including the SBI used to siphon off funds to Northern States on the ground that there were no viable projects for large-scale lending in Kerala. Kerala’s Finance Minister Thomas Issac has announced that there would not be presenting a full budget next month: It would be again vote on account late in March. The reason cited is the CPI (M) party conference. This may be the first time that any Finance Minister announced that his party functions affected the presentation of his Budget. Obviously, the Minister places interests of his party above the interests of the people. For years, Plan expenditure lagged in the early months of the financial year. This led to an expenditure spree towards the end of the financial year. This year too was not an exception. In fact, Plan expenditure till now is one of the lowest. One of the reasons cited for this State of affairs is the late passing of the full budget. By spending his time fighting faction war at the party conferences, the Finance Minister has sacrificed the interests of the State. There are also reports going the rounds that the Minister is actually waiting to get rid of Chief Minister Achuthanandan and his supporters from the Planning Board before he presented a full budget. The liberal propositions he want to make are hindered by dogmatic approaches of Mr. Achuthanandan and those in the Board. The appreciation of rupee is hitting exports, especially software and agricultural exports from India. Despite that, there is little reason to check the appreciation of the rupee resulting from inherent strength of the Indian economy. However, rupee should not be propped up through borrowings. India has foreign exchange reserves of about 200 billion dollars. Out of this, external assistance and commercial borrowings constitute more than 50 billions. There is no need to add to this while premature payments could be effected in case of existing loans. The country needs foreign exchange reserves to meet only six months imports (3 to 4 months according to the RBI). Balance can be used for infrastructure development. Oversees Keralites will be hit by declining value of Gulf currencies against the rupee. But the purchasing power of men making their earnings within the State will increase. This is desirable when gap between gulf returnees and the ordinary folks in the State is increasing.